The chairman of the European Dairy Association, EDA, Michel Nalet says in the letter that the Single Market for milk and dairy is no longer functioning the way it should. Hälften av det skummjölkspulver som köpts upp till de offentliga lagren sedan 2015 (190 000 av 380 000 ton) har släppts ut på marknaden utan att äventyra dess funktion och sektorns återhämtning. Den senaste anbudsinfordran för försäljning av 30.000 ton ägde rum den 8 november. EU:s senaste prisrapport för mejerimarknaden, som publicerades denna vecka av Europeiska observatoriet för mjölkmarknaden (MMO), visar höjda priser på både mjölk och skummjölkspulver, vilket återspeglas i kommissionens noggranna hantering av lagren. Tyskland är det land där jordbrukarna väger in mest mjölk vid mejerierna 31,9 miljoner ton, följt av Frankrike med 24,6 miljoner ton och Storbritannien med 15,1 miljoner ton. Dessa tre länder står för nästan hälften, 46 %, av den mjölk som levereras till mejerierna. Breads, biscuits, pasta, etc. with barely any fibre labelled as ‘whole grain’. The problem mainly stems from a lack of EU rules defining in which cases manufacturers can use such terms. BEUC has set out recommendations for the EU institutions to make food labels more honest. Consumer organisations from 10 countries that are part of the BEUC network have unveiled those deceptive practices.1 The three categories highlighted in the report may be just the tip of the iceberg. “The EDA guidelines for ‘cheese as raw material’ are a concise and state of the art compendium on the high safety and quality of cheese as raw material within the processing industry. These guidelines are completed by the ASSIFONTE ‘Good Manufacturing Guidelines Practice for Processed Cheese’, which set an EU benchmark and a best practice manual for the processed cheese industry. Both guidelines, that will be translated into all 23 official EU languages, underline the global leadership of the EU cheese and processed cheese industry also when it comes to safety and quality”, stated Alexander Anton, secretary general of EDA and of ASSIFONTE. The Cordis project calculated to 30 M€ labelled “Valorisation of by-products or waste-streams from the food processing industry into high added-value products for market applications” is taking place in Ireland. Whey Permeate (WP) and De-lactosed Whey Permeate (DLP) are major side-streams of dairy processing and represent a key challenge for the dairy industry due to a lack of reliability in current disposal routes and represent a sustainability bottleneck for the expansion of milk production in Europe in the “post-milk-quota era”. AgriChemWhey will build a first-of-a-kind, industrial-scale biorefinery with integrated symbiotic industrial and agricultural value chains that will valorise over 25,000 tonnes (100% dry matter) per annum of excess WP and DLP to several added value products for growing global markets including lactic acid, polylactic acid, minerals for human nutrition and bio-based fertilisers. This will be achieved through a coordinated investment process and development path to realise the Flagship plant, representing the first major industrial venture to convert residues from food processing, as second generation feedstocks, to value added bio-based products. The Flagship will prove the techno-economic viability of the innovative WP/DLP-to-lactic acid biorefinery technology and will establish a new value chain for industrial symbiosis with other local actors for the production of high value sustainable food and feed (including high quality mushrooms) products from other side streams, as an enhanced circular bioeconomy approach to agriculture and agri-food waste. This offers society and industry the opportunity for greater resource efficiency – less food waste, more products from the same starting material (milk), and integration of food and non-food material production. AgriChemWhey will also develop a blueprint of an economic sustainability concept and replication plans for other regions across Europe, thus maximising both short and long term impacts, contributing towards the development of the European bioeconomy to promote rural growth, competitiveness and job creation, and aligning with European sustainability targets. Den klassiske Danbo-ost er tildelt Beskyttet Geografisk Betegnelse (BGB) af EU-Kommissionen, skriver mejeri.dk. Fremover må osten kun fremstilles i Danmark efter ganske bestemte kvalitetskriterier. Dermed kommer Danboen i selskab med oste som italienske Parmigiano Reggiano, franske Emmental de Savoie og danske Danablu og en lang række andre europæiske oste, der er beskyttet af EU under mærkerne BGB eller BOB (Beskyttet Oprindelses Betegnelse). Det betyder, at en Danbo-ost fremover skal være fremstillet i Danmark efter nogle bestemte retningslinjer og leve op til en særlig kvalitet for at kunne kaldes en Danbo – og dermed få et BGB-mærke på emballagen. For nylig kom danskernes foretrukne ost i fornemt selskab. Det skete, da EU-Kommissionen tildelte Danbo-osten det såkaldte BGB-mærke (Beskyttet Geografisk Betegnelse), som er en anerkendelse af ostens unikke kvaliteter og historiske tilknytning til Danmark. Vegan dairy-alternative products cannot be sold within the European Union [EU] under names including ’milk’, ’butter’ and ’cheese’ following a landmark ruling by the European Court of Justice [ECJ]. The ruling follows a case involving German food company Tofu Town, referred by the German court. The Trier court battle between Tofu Town and VSW (German consumer protection group) saw the two sides clash over whether or not the product labels contravened EU regulations, with Tofu Town arguing that because it always used terms like ’milk’ in conjunction with words relating to the product’s plant-based origins (i.e. Tofu Butter), it did not. In addition, it argued, the general public’s understanding of these food terms has changed considerably in recent years. The Trier court asked the ECJ to intervene, and it ruled against Tofu Town, asserting that names like ’milk’ and ’cheese’ could not be legally used to describe vegan products. Fettkonsumtionen har ökat kraftigt globalt under det senaste året och det har lett till att EU:s interventionslager av smör snart är borta. Det har lett till att priset stigit kraftigt, något som franska bagerier betecknar som en ”större kris”, skriver ATL. 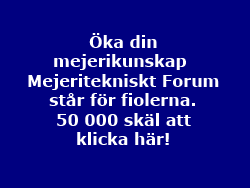 Förklaringen till den ökade fettkonsumtionen är nya och delvis förändrade kostrekommendationer från läkare och dietister. Det tidigare förhatliga fettet har fått en ny aura av hälsa efter att ha förpassades till slaskhinken på 1950-talet. 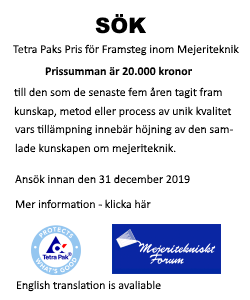 Då ansågs fettet vara orsaken till folks överviktsproblem. I dag har fokus i stället skiftats till att det kan vara ett alltför stort intag av kolhydrater som gör folk överviktiga.